A Case Study: Diversity of Schools in the L.A. Region | Let's win college. Coming from a small town in the non-Bay area region of Northern California, I found that there weren’t very many institutions of higher education around. This lack of choices caused many of people from my high school to attend school in Southern California. 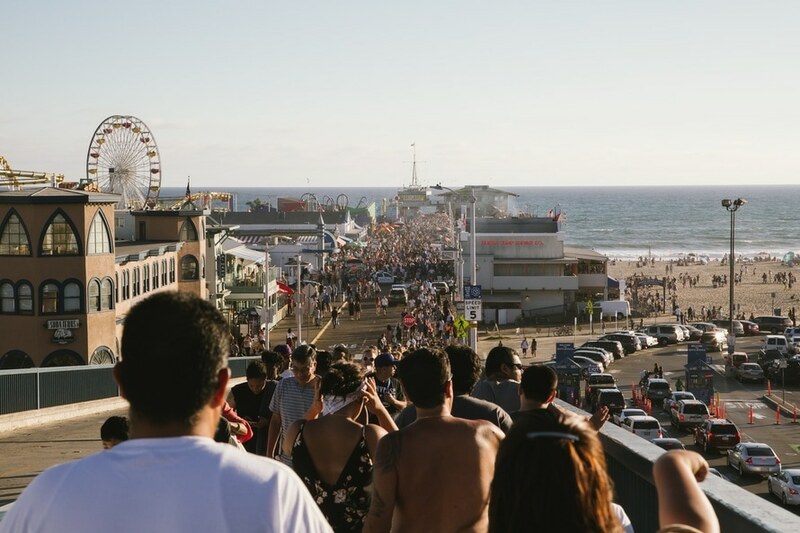 The gorgeous weather, the proximity to beaches, the urban environment, the city of Los Angeles, and the “happy” culture that comes along with these things is quite a draw to hundreds of thousands of students who attend college in Southern California from all over California and the rest of the United States. Due its size, the LA region offer a variety of different types of schools. Moral of the story: every city has a wide range of higher education option; LA is just an example. Check out the cities in your state or region to find out what options are open to you (hint: there are more than you think, and they can make college cost A LOT less)! One of the largest private universities in the nation, USC is an impressive institution with strong programs in a wide variety fields such as engineering, business, film and cinema studies, law, psychology and public affairs. Recently, its undergraduate college has been on the rise academically according to admission standards, and the college is gaining the attention of a broader range of students and faculty who recognize the strength of education that comes from attending USC. USC is known for having an impressively larger and strong alumni network. Trojan pride is intense, and Trojans can be found around the world! The campus is also known as one of the most beautiful in the nation. The University Park campus, is located in the Downtown Arts and Education Corridor of Los Angeles, near to the museums of historic Exposition Park. It has been described as park-like, well landscaped, and well-kept. Though the location has a reputation for crime, it is not any less safe than other urban campuses. As with many other colleges in the region, USC has an incredibly strong film and cinema program due to proximity to Hollywood. What makes USC unique though is its huge variety of academics, its emphasis on curricular breadth, and the abundance of activities that occur on campus each year. The largest of the UCs and all other public universities in California, it’s no wonder that UCLA is so well-known, popular (in pop culture and to applicants), and academically renowned. Known for its academic excellence in a huge multitude of fields, UCLA is strongest in linguistics, math, psychology, and history. UCLA attracts an incredible amount of top-quality students because it has an incredible balance of top academics, strong sports teams and school spirit, community service, and impressive extracurricular activities, along with an affordable education to in-state students. Once seen as the school “forever in the shadow of UC Berkeley”, UCLA is now even more difficult to gain admittance to than UC Berkeley, and it holds its ground with Berkeley at the top of the University of California system. Students at UCLA are known to be optimistic, happy, and driven. The school creates an uplifting spirit for the student body, and students have incredible passion for their studies and their school. Though UCLA is not located in downtown LA, the Westwood community where UCLA is located creates a more suburban environment. The campus itself is gorgeous, with emphasis on brick buildings which create a scholarly feel within the immensity of the campus. CSU San Bernadino is a lesser known California State University, but lack of popularity in no way means lack of excellence, resources, and pleasure. CSUSB is located in the University District of San Bernadino, about an hour east of downtown Los Angeles and very close to the San Gabriel Mountains, which frame the campus to the north. The campus, though in an urban setting, ranks as the second safest public university in California, according to the CSUSB site. For 8 years this school has ranked as the top college in the western region by Princeton Review, and so it ranks in the top 25% of universities nationwide. CSUSB offers an incredible business school that is highly ranked and well recognized, as well as a strong undergraduate education. In fact, its College of Business and Public Administration is the first school in the Inland Empire to gain national accreditation. 22% of students major in Business related fields, with the next popular majors being in psychology and the health professions. Like the other CSUs, CSUSB stresses professional and work-based knowledge. The school emphasizes teacher education, applied science and engineering, management and administration, health sciences, international studies, and fine and performing arts. CSUSB is extremely diverse racially, having the most diverse student body of any school in the Inland Empire. The school is nearly 1/2 Hispanic, reflecting the racial makeup of the community that CSUSB serves. The schools also graduates an incredible amount of students who are first to graduate in their family, making up 70% of each graduating class. One should take note that the male-to-female ratio is nearly 2-1, though this doesn’t detract from students liking the school. The CSUSB campus looks new and welcoming, and the retention rate from first to second year is nearly 90%, one of the highest in the CSU system and in the nation. Loyala Marymount University is the largest Catholic university on the West Coast, though its religious requirements are not too stringent. It has a gorgeous campus that is located southwest of downtown in the Westchester region of Western LA on a bluff overlooking the Pacific Ocean and the city. It is a great location, as one student described, “LMU is in an awesome location because it is five minutes from Venice Beach, fifteen minutes from Santa Monica, fifteen minutes from Manhattan Beach, 30 minutes from Long Beach, an hour from Disneyland, and 20 minutes (if the traffic is not too bad) from downtown LA.” The campus lies upon a hill all dressed in white, considered one of the nation’s most attractive campuses as well. The school is known for being used in a multitude of movies, and this isn’t the only connection to Hollywood. LMU has a strong film studies program, though it excels at communication and fine arts as well. The strength of LMU’s theater and film programs attract many up-and-coming actors: one LMU student said, “The theater program is amazing because it has a great sense of community and gives you a perfect education in both theater and film.” The strength of the LMU community is maintained even though many of the students are artsy, good-looking, and fashion is abundant on campus. The size of LMU also creates a great environment; it is not too large to be overwhelming nor too small to feel stifling. The student also said, “Basically, it is the perfect size because it is big enough to have a lot of variety and keep life interesting while being small enough to maintain the feeling of community.” This is also helpful in the classroom, where student-to-faculty ratio is 11:1, allowing a good balance of class sizes. LMU also has a diverse student body, about 50% of students are non-white, and a quarter of students reside outside of California. Pomona College, along with the other small liberal arts colleges that make up the Claremont College Consortium, is a private, solely-undergraduate college located in Claremont, 35 miles east of downtown Los Angeles. Pomona is one of the top liberal arts colleges in the country, and is the oldest of the Claremont schools. Pomona’s admission stats rival those of the Ivy League, and its student body is incredibly impressive in many other regards. The small class sizes also lend to this intimacy of academic interaction within the college, creating a unique education similar to the tutorial systems utilized by Oxford. The school has an impressive track record for placing a large portion of its students into top PhD and Masters Programs. Pomona College is also, what I like to call, the central hub of the consortium. It is the largest by student population, campus size, and academic offerings. Nonetheless, Pomona students gain a great deal of academic, social, and extracurricular opportunities through the consortium with the other schools. The typical student at Pomona is hard to characterize because Pomona attracts a strongly diverse group of students who do not share many traits other than a certain appeal for strong academics, good weather, and being happy in a laid-back but not lazy atmosphere. There is a friendly atmosphere to the school, and many things to do on campus. The area surrounding the school is nice, but there aren’t any main attractions very close by. The beach, mountains, desert and the city are all within an hour by car though, so Pomona students can still have a huge variety of activities if they have transportation.